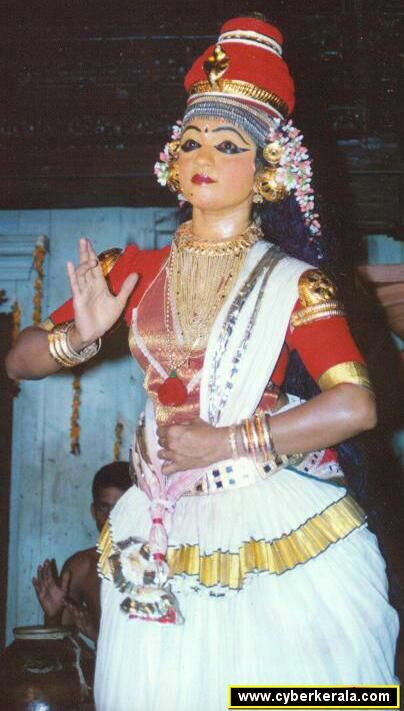 Soorpanakhangam is based on a sequence in 'Ramayanam'. Soorpanakha, a Rakshasa woman came across Rama and Laskshmana while they were staying at Panchavati. Impressed by the elegant features of Rama, she transforms herself into a charming young lady and makes advances towards Rama. His outright refusal leads to raised tempers and Lakshmana disfigures her by cutting the nose and breasts. She reverts back to her demonic appearance and exits in a highly excited mood.